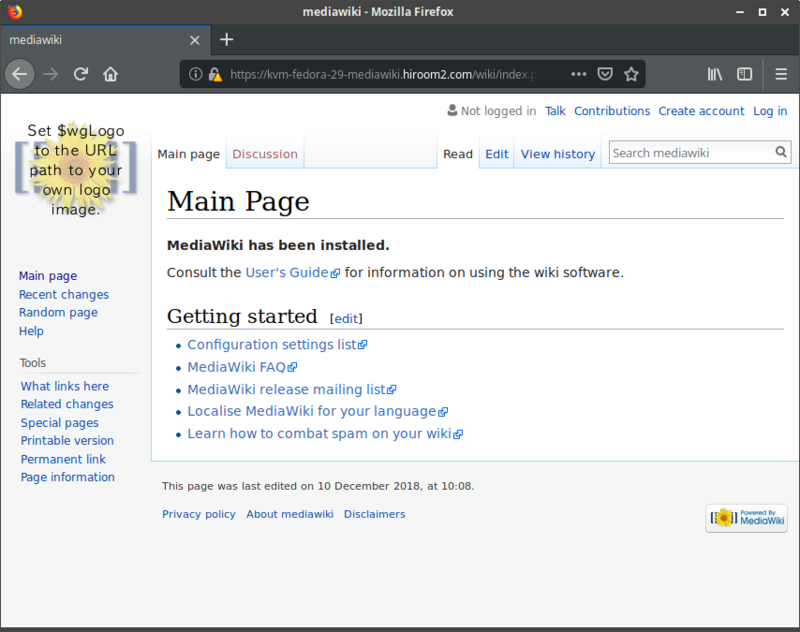 This article will describe installing MediaWiki. Changing open port of firewall from https to http, you can connect via http. MEDIAWIKI_PASSWD is password of admin user. # Create DB table and LocalSettings.php. sudo ln -s /usr/share/mediawiki/LocalSettings.php . Access to the following URL. Accept this page's certification to browser. MediaWiki is displayed. Click "Log in" at the top right, and input admin to user and MEDIAWIKI_PASSWD value to password. Then you can login to MediaWiki.